Tooth sensitivity is when your teeth hurt when introduced to hot or cold, sweet, and even spicy foods. Many people live with the symptoms of tooth sensitivity and don’t seek treatment. This is because most patients don’t realize that tooth sensitivity can actually point to a more significant underlying problem. 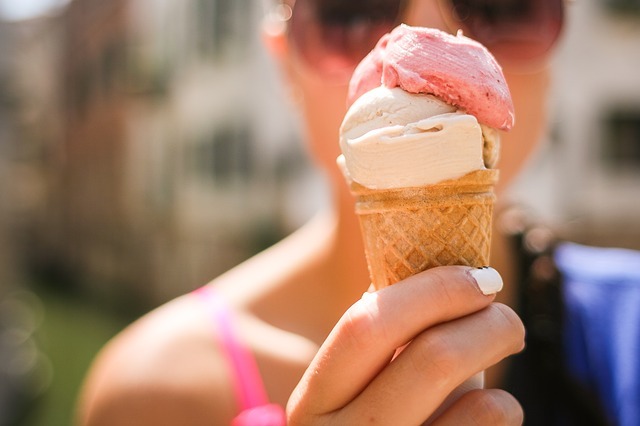 It’s always best to talk about your tooth sensitivity with your Asheville dentist. How exactly does tooth sensitivity happen and what can be done about it? Tooth sensitivity could actually be the result of bruxism, or teeth grinding. Teeth grinding puts immense pressure on your jaw and teeth that would normally be reserved for chewing food. People who grind their teeth usually do so while sleeping or when under stress. Some patients are aware of their grinding habit and some aren’t. Because bruxism puts such pressure on your teeth, it can actually cause fractures and enamel wear. This leads to exposure of your tooth’s sensitive dentin or root structures. Lack of enamel or fractured teeth can cause tooth sensitivity. If a build-up of bacteria and plaque are allowed to remain on the surface of your tooth for a prolong period of time, tooth decay will occur. A cavity forms when the acids from the bacteria erode your tooth’s enamel. This can lead to sensitivity because the inner structures of your tooth, dentin and pulpal tissue, are extremely sensitive. If you have tooth sensitivity, you may have one or more cavities. If left untreated, it will only get worse. The larger the cavity, the more difficult it can be to save a tooth and can lead to pain or infection. Gum recession can cause tooth sensitivity by exposing your tooth’s root and allowing hot and cold substances to affect your teeth. The root of the tooth is porous allowing thermal sensation to create significant discomfort. There are many different causes of gingival recession so it is best to have a checkup to help detect gum recession early on before it progresses! Getting regular checkups with your dentist can help prevent enamel erosion. Protecting your enamel is vital for having healthy teeth for life. When enamel erodes due to these problems, tooth sensitivity can happen and can get worse over time if the root cause is left untreated. Visit your dentist to have your tooth sensitivity checked. There are treatments available for tooth sensitivity, such as fluoride applications and desensitizing tooth pastes. However, you’ll also need to discover what’s causing your tooth sensitivity to properly treat it. You may need a custom mouthguard for nightly bruxism or treatment for tooth decay or gum recession. Getting treatment for your tooth sensitivity is vital to helping it go away and ensure your teeth and gums are healthy. Getting checkups with your dentist in Asheville and talking about your symptoms and oral health habits can help your dentist determine what the problem is and how best to treat it. Visit your dentist to properly treat your tooth sensitivity—make an appointment today! Previous post: Dental Implants: Your FAQs Answered! Next post: Can Gum Disease Be Reversed?